The parishioners of The Church of the Redeemer have ministered in God’s name and with God’s help since 1951. The Search Committee has prepared this Parish Profile as part of their search process for a new rector. The members of the Search Committee were chosen as representatives of the church’s various organizations and parish at large. They are a diverse group in terms of age, length of time in the parish, background, and opinions. Working on this Committee is providing them with the opportunity to perform a special role in the life and future of the church. The Search Committee would like to thank the Vestry and parishioners for their interest, cooperation, and participation in providing information, all of which has helped the Committee understand their views and needs. Almighty God, giver of every good gift, look graciously on your Church and guide the minds of those of us who are involved in the search process, and those who shall choose a rector for this church family. Instill in all of us the desire to diligently seek your guidance, knowing that you are the source of all wisdom and understanding. Guide us to perceive what is right and grant us the courage to pursue and humbly accomplish the task before us. Be ever present as we search for a rector who will inspire the members of this congregation to perform works within the church, the community, and our individual lives that will glorify your Holy Name, through Jesus Christ, our Lord. AMEN.  The Church of the Redeemer is searching for a rector who will uphold the traditions of Anglican worship as well as inspire us on our spiritual journey – an individual who will embrace us and be committed to helping our congregation develop a spiritual house of worship that reaches each member of our church family and our community. Is strong in spiritual leadership and preaches sermons that help us practice our faith in everyday life. Is accepting of all points of view. Provides a home for Episcopalians and others in our community who seek Christ. Practices both spiritual and fiscal responsibility and is willing to lead these areas of church life. Is enthusiastic about working with children and youth, and providing younger parishioners and families with spiritual direction. Possesses the leadership qualities necessary to take The Church of the Redeemer forward in growth and in service. At The Church of the Redeemer, we welcome people into a loving, Christian family, provide a reverent place for Christ-centered worship, and help each other discover and share spiritual gifts, ministry, and fellowship. We have approximately 145 active communicants. For a church of our size, we have an active parish life and a high level of vitality. Various activities and opportunities await parishioners who seek involvement, both within the worship services and in congregational events. We are always interested in meeting the needs of parishioners and the community, and we are open to new suggestions and ideas. When specific needs are acknowledged, our parishioners do not hesitate to offer their time and assistance. Recent trends indicate that new members enthusiastically volunteer to assume leadership roles at all levels of our church life. The parishioners of Redeemer readily seek pastoral guidance. Our congregation looks forward to a bright future in spiritual growth and development, as well as active involvement and visible stewardship within our community. We hope everyone who worships with us senses the love, camaraderie, and compassion that we feel for one another and extend to all visitors and new members. All are welcome at Redeemer. The State of South Carolina is divided into two Episcopal dioceses. The Church of the Redeemer’s parish is part of the Episcopal Diocese of Upper South Carolina, which includes the entire western Upstate area. Our Diocese was organized in 1922 and includes 22 counties with 64 parishes and missions with approximately 28,000 members. Special Services: Ash Wednesday, Palm Sunday, Maundy Thursday, Good Friday, Easter Sunday, Youth Sunday, Stations of the Cross, Christmas Eve, Christmas Day, and Children’s Christmas Program. Our youngest children participate in the worship service when they process in after the Peace with food pantry items to be blessed. On Christmas Eve the children present a Christmas pageant in which they celebrate the story of Christ’s birth. Often the children enhance the worship service at special Sunday events with their crafts and banners. Every Spring on “Youth Sunday” the youth of the church serve at the worship services as lectors, acolytes, ushers and give a talk during the homily time, and many serve year-round as acolytes. Daughters of the King. The Order of the Daughters of the King was reinstated at The Church of the Redeemer in April 2010. This religious order is composed of women of the Church who have undertaken study and have given lifetime vows in the presence of the congregation to live by the Rule of the Order. Their Rule of Life incorporates the Rule of Prayer and the Rule of Service and requires a spiritual discipline of daily prayer, service, and evangelism, dedicated to the spread of Christ’s kingdom and the strengthening of the spiritual life of the parish. Junior Daughters of the King. In the spring of 2017, a group of women and girls organized what is now the only Junior DOK chapter in South Carolina. Adult education is led by the rector or lay persons. Adult Forum addresses current topics of interest, Bible study, and Episcopal doctrine. For the Fall of 2018, the Adult Forum is conducting a study of the book, Toxic Charity, and discussing how we as a parish can most effectively help the poor in our community. Holy Chow – The men at Redeemer organize a brunch for the congregation three to four times a year, usually the 5th Sunday in a month. Singles Group – Single parishioners get together for meals and outings to shows, plays and other events. Redeemer’s Vestry is traditionally composed of nine to twelve voting members who are elected to three-year terms on a rotating basis. Thus, on average, three new members are elected at each annual meeting while the other eight, having either one or two years remaining on their terms, provide historical perspective and continuity. The Vestry is composed of members of all ages (over 18). Vestry members are required to be active and in good standing participants in the life of the church and usually participate not only on the Vestry’s Commissions, but also in other various organizations and activities of the church. The Parish Administrator/Secretary (the Church Office is open four days a week: Monday through Thursday from 9:00 a.m. – 2:00 p.m.
Eucharistic Visitors –take the Eucharist to church family members who cannot attend church because of being ill or homebound. Prayer List – pray diligently for members of our congregation and others. Cards – send out birthday, anniversary, and other special occasion cards to celebrate these special events in the lives of our parishioners. Phone Calls – call parishioners, when requested, to see how the church can help in their time of need. Handyman – help parishioners and the church with small handyman projects such as plumbing, electrical, carpentry, painting, and in other ways. Coordinate the preparation of foods, prepare and clean-up of the hall for funerals, weddings, and other events. Coordinate the preparation and delivery of meals for parishioners and their family in need of support during difficult times (i.e. recovery at home after hospital stays). Men’s Bible Study meets every other week for fellowship and to study the word of God. Above all Redeemer is a loving church, desiring to show warmth to others and to share the love of Christ. Helping Hands is the feet and hands of Jesus. Augusta Road Churches United in Ministry (“ARCUM”) – Redeemer is involved in (and has taken a leadership role with) the Augusta Road Churches United in Ministry (“ARCUM”), a group that includes seven churches in five denominations, all in the same geographic area of Greenville. Our previous rector was instrumental in starting this group. Representatives of the churches meet about once a month and plan a joint Thanksgiving service, a joint Palm Sunday walk down Augusta Road, the October Pumpkin Patch, and other interfaith activities. This group uses the money from the Pumpkin Patch (Located at The Church of the Redeemer) to support equally The Samaritan House (food pantry), Pleasant Valley Connection (pre-school, senior center, etc. ), and Mother Teresa House (help with food assistance, nursing-based medical screening and assessment, with some physician participation, and referral to Greenville, SC agencies). Project HOST Soup Kitchen – A group of volunteers from Redeemer serves lunch at the Soup Kitchen in downtown Greenville on a Sunday morning four times a year. Redeemer has been participating in this community effort for many years, which includes helping prepare the meal, serve the meal, greet the people, and clean up after the meal. Members of Redeemer have also served in leadership roles with the Soup Kitchen. Special offerings include those collected at Lent, Thanksgiving, Christmas, and Easter services for various organizations in our community, as well as those sponsored by the Episcopal Diocese such as the ECW United Thank Offering. Pleasant Valley Connection – Several members of Redeemer are involved with this wonderful ministry located in a low-income neighborhood near our church which includes a children’s after-school and summer program, seniors’ activities, literacy and GED instruction, parent programs, and much more. One of our members is currently a trustee on the organization’s Board. Samaritan House – This food pantry was founded by members of Redeemer and four other churches in the surrounding community to serve the needy in the Pleasant Valley neighborhood. Food is distributed on Thursdays to the needy. Two parishioners serve on the board and several others help to procure and distribute the food. Al-Anon, Alcoholics Anonymous, Adult Children of Alcoholics – Redeemer allows these groups to use its social areas and kitchen on a regular basis for their meetings. YAMS – Young Appalachian Musicians use our space for lessons each week on Thursdays. This is a great way to learn a new musical instrument like guitar or banjo. Classical Conversations – A home school group meets at Redeemer on Mondays in the fall and the spring. They are an independent group of parents and their children who use our space for their work. Spanish Church Service – a non-denominational Spanish group meets on Saturdays in Purser Hall for their service. This is an independent church that use our space for their service. We have a church member who has devoted his life to missionary work and is now in the Ukraine. He was previously stationed in Thailand. This summer we have a group working on knitting and crafting warm hats, scarves, mittens, etc., for the children to whom he is ministering. We have provided monetary support for his living expenses, and he sends back reports of what he encounters as he spreads the Gospel through word and deed. Another church member was instrumental in starting and supporting an orphanage and children’s home in Mexico. He created the Embrace the Dream Foundation (“EDF”), a non-profit 501(c)(3), Christ-centered mission organization that provides love and care for orphaned and abandoned children in Mexico. EDF principally supports Casa Hogar La Familia, a children’s home just outside the city limits of Quecholac in the State of Puebla, about three hours south of Mexico City. La Familia is currently home for 32 children ranging in age from 1½ to 21 years of age. Redeemer member Bill Lee, president of EDF, founded the organization after spending nine years leading mission teams to Mexico. Redeemer is in its 16th year of sending a group of volunteers to Casa Hogar. Church members visit at least once and sometimes several times a year to help the children and their caregivers by bringing programs, crafts, clothes, school supplies, and helping with general repair work, housework, and cooking chores. In late 1950 the Bishop of our diocese, the Right Reverend John James Gravatt, asked a small group of families from Christ Church to consider establishing an Episcopal parish in the Augusta Road area of Greenville. The first meeting of this group, which consisted of eight people, met on February 3, 1951. There were approximately 50 people who attended the next meeting, and the final organizational meeting was held on April 23, 1951. The Church of the Redeemer was chosen as the name of the church. In due course the sanction of the Bishop was received, and the Reverend John Harrison was called as the first rector. For several months services were held in the cafeteria at Augusta Circle Elementary School on Winyah Street. About a year after the first organizational meeting, the Diocese of Upper South Carolina accepted The Church of the Redeemer as a self-supporting parish. On May 11, 1952, ground was broken on Lydia Street for Redeemer’s first church building. At that time it had been more than 40 years since a new Episcopal church was built in Greenville. On September 7, 1952, the first worship service was held in the new building. That building has since been converted into our parish hall and named Purser Hall in honor of the Reverend Philip Purser, who served as Redeemer’s rector from 1981 through 2000. In 1953 the South Wing was constructed to house the church’s parish offices and sacristy. The current sanctuary was completed in 1958 and faced Mauldin Road. The North Wing was erected in 1963 and used for Christian education. On March 10, 1969, disaster struck when the interior of the sanctuary was heavily damaged by fire, and Purser Hall was used for worship services until the sanctuary was restored. In late 1969-1970 as part of the sanctuary’s restoration process, at the recommendation of the Reverend Clyde Ireland, Rector, the altar was relocated from the west end of the sanctuary to the east end. This was considered more in keeping with traditional church architecture which enables worshippers to face the east where the sun rises, in remembrance of the Risen Christ. The transept was added at that time in what was formerly a part of the courtyard. The newly renovated sanctuary was reopened in 1970. It was also during the 1970 restoration process that Father Clyde Ireland encouraged the installation of Redeemer’s beautiful stained glass windows. The theme of the windows is Jesus the Redeemer, and each window represents one of the ways Jesus is described in the Gospel according to John. The meaning, purpose, and calling of The Church of the Redeemer are portrayed through the symbols shown in the windows. In 2008 the Church published a pictorial history book entitled “Stained Glass Windows and Needlepoint,” which features full-color photos and detailed information regarding the history and meaning of the windows and altar needlepoint in our sanctuary. In 1991, the sanctuary and transept were completely renovated, and a narthex was added by enclosing an entry area. The choir loft was constructed at that time at the west end of the sanctuary, and the organ was relocated to the choir’s new home. This is The Church of the Redeemer as we know it today. The atmosphere created by the oak paneling, altar, and pews, as well as the red carpet and red accents that occur throughout the sanctuary is one of warmth and reverence. In December of 2012, a fire occurred in the closets behind the altar of the sanctuary. New banners and altar cloths were made and a new storage area was built. The Church of the Redeemer is located on approximately 4.7 acres at the corner of Mauldin Road and Lydia Street in the City and County of Greenville, South Carolina. The main sanctuary building is situated atop a small hill on Mauldin Road. Its construction is contemporary brick with stained glass windows, and includes one-story education and office wings which branch off the main sanctuary/transept area and connect with the parish hall. Our beautiful sanctuary provides seating for approximately 220 worshippers. The church grounds include a fenced playground facing Lydia Street and a beautifully landscaped memorial garth which is a large rectangular garden area enclosed on all four sides by the above-mentioned church buildings. The parish hall area of the church includes the choir’s robe and practice rooms and a large kitchen used for social gatherings and parish activities. The Greenville County Library System built a satellite library on the property adjacent to Redeemer’s and did extensive landscaping which enhanced the area around Redeemer as well, giving us ample parking for large events on campus. The church is only minutes from the Augusta Road business corridor and downtown Greenville, as well as the Highway 291/Pleasantburg Drive businesses, restaurants, and access to Interstate 85. Greenville County is situated in a region known as the Upstate, which encompasses the entire northwestern corner of South Carolina. The Upstate generally includes the 10 counties along the commerce-rich Interstate 85 corridor: Greenville, Spartanburg, Anderson, Pickens, Cherokee, Oconee, Union, Laurens, Greenwood, and Abbeville. Greenville County shares its northern border with the state of North Carolina amidst the beautiful foothills of the Blue Ridge Mountains. On the 2010 census the Upstate population was 1,362,073, or about one third of South Carolina’s 4.6 million people. The Upstate is the fastest growing region in the state, and, given its strategic location between Atlanta and Charlotte, future development and growth prospects are bright. In fact, the Greenville-Spartanburg-Anderson metropolitan area was ranked 7th in the nation by site consultants considering the top markets for economic development. The City of Greenville is the largest city in the Upstate with 58,409 citizens on the 2010 census. The majority of business and commerce in the Upstate takes place in Greenville County. In 2010 Greenville County’s population was more than 451,000 people, the largest in South Carolina. The City of Greenville boasts an impressive concentration of businesses and financial institutions in its downtown area, and in recent years downtown Greenville has attracted national and international attention as a vibrant and exciting venue for arts, entertainment, and night life. Major industries in the Upstate include the auto industry which is concentrated mainly along the corridor between Greenville and Spartanburg around the BMW manufacturing facility in Greer. After BMW’s initial investment, foreign companies (especially from Germany) have invested a substantial presence in the Upstate, and several large corporations have established regional, national, or continental headquarters here. Another major industry in the Upstate is healthcare and pharmaceuticals. Greenville Hospital System, with its main Memorial Medical Campus and teaching facilities in the city of Greenville, and Bon Secours St. Francis Health System are the area’s largest in the healthcare sector, while the pharmaceutical corporation of Bausch & Lomb has set up regional operations alongside smaller recently developed local companies. The Upstate is also home to a large amount of private sector and university-based research and development, including R&D facilities for Michelin, Fuji, and General Electric. Clemson University, BMW, Microsoft, and Michelin have combined their resources to create the International Center for Automotive Research (ICAR), a research park located in Greenville that specializes in the development of automotive technology. Camping, hiking, and biking trails, including the newly completed 13.5 mile Swamp Rabbit Trail along the Reedy River, which connects downtown Greenville with the City of Travelers Rest. Extensions of this trail are presently being constructed. Greenville City parks including Cleveland Park, Liberty Falls Park, McPherson Park, Timmons Park, Gower Estates Park, and many more. 24 State Park sites in the Upstate including Paris Mountain State Park just minutes from downtown Greenville. Numerous county parks and recreation centers including the Greenville County Pavilion Indoor Recreation Complex/ice skating rink and the newly renovated Westside Aquatic Center. Swimming, boating, fishing on Lakes Hartwell, Keowee, and Jocassee, all about an hour’s drive from Greenville. State Botanical Gardens, Clemson University, just 45 minutes from Greenville. Whitewater rafting on the Chattooga and Nantahala Rivers, only a couple of hours away by car. Local theater, including the Greenville Little Theater, the Warehouse Theater, Centre Stage Theater, and the South Carolina Children’s Theater. National and international multi-cultural performances at the newly renovated Peace Center for the Performing Arts on Main Street, downtown Greenville, the primary venue for the Greenville Symphony Orchestra’s performances. The Bon Secours Wellness Arena, a large indoor stadium offering the ultimate in sports, concerts, and family shows, as well as corporate and community events. Seasonal events such as the weekly Farmer’s Market on Saturday mornings in downtown Greenville, and the annual “Fall for Greenville – A Taste of Our Town” and “Artosphere” events downtown. Art Museums including the Greenville County Museum of Art, which features the works of southern artists Andrew Wyeth and Jasper Johns; the Bob Jones University sacred art collection and portrait museum; the Upcountry History Museum; the Shoeless Joe Jackson Museum and Baseball Library, the Greenville Cultural Exchange Center, and the Children’s Museum. A vibrant Main Street and downtown area bustling with life and energy day and night, including numerous restaurants, retail shopping such as the Mast General Store, and live entertainment such as the “And Then Some” comedy troupe, Coffee Underground, the Brown Street Jazz Club, and much more. Furman University, Bob Jones University, and Greenville Technical College are located in or just outside of Greenville. Clemson University is approximately 30 miles away from the city.